Herefordshire Housing Group (incorporating Independence Trust) and Shropshire Housing Group have announced today (27/07/17) that they've connected, as equal partners, to form Connexus, a new social housing umbrella group with more than 600 colleagues working across Herefordshire, Shropshire, Gloucestershire and Worcestershire. 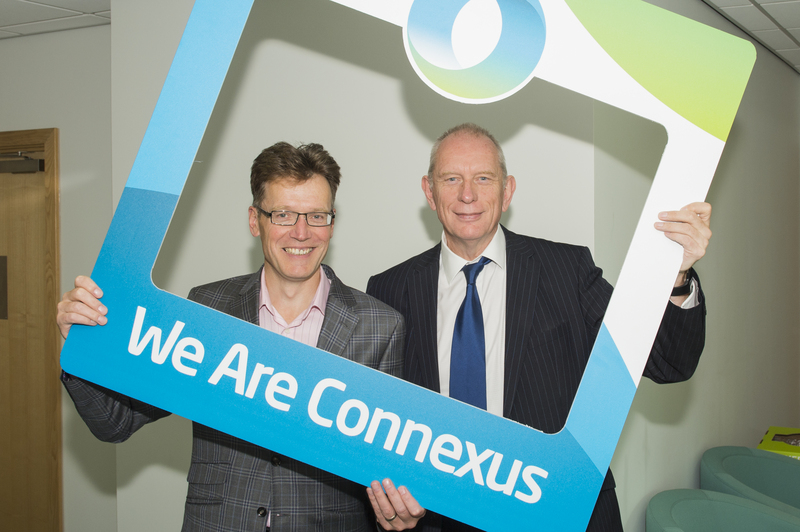 Peter Brown the Chief Executive of Herefordshire Housing will take on that role within Connexus, while Jake Berriman, Chief Executive of Shropshire Housing Group becomes Deputy Chief Executive. Connexus brings together a number of subsidiary brands under the group umbrella, however, on a day to day basis tenants should see little change with the individual brands such as Herefordshire Housing Limited, South Shropshire Housing Association and Meres and Mosses Housing Association all keeping their existing names and brand identities. Increased provision of housing for sale and market rent alongside a programme of shared ownership and affordable rented accommodation. The organisation will be the largest developer in the Marches with plans for some 1458 homes up until 2023. Both organisations see their core purpose to be more than “bricks and mortar providers” and share an ambition to develop homes alongside care and support services which provide enhanced opportunities and life skills for residents and help sustain communities in the considerable rural area they operate in. "Together we are able to maximise financial strength, funding opportunities and the expertise of our people to better meet the needs of our customers and communities." The new organisation’s core responsibility will be managing the 10,000 homes, in addition, it offers care and support services, repairs and maintenance and development opportunities.